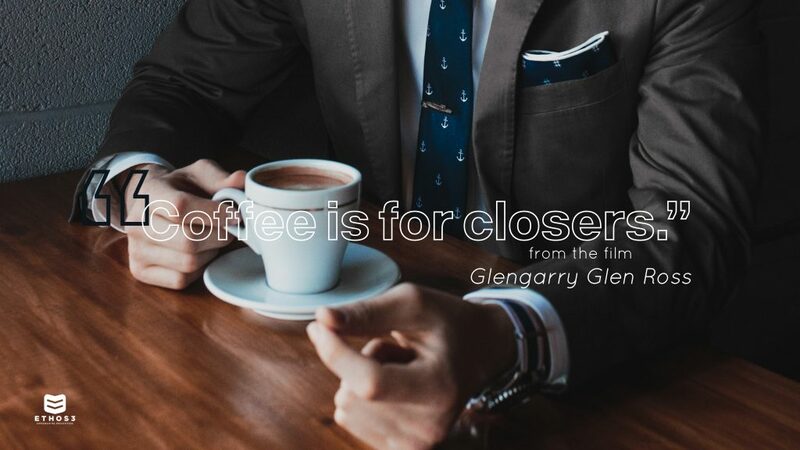 I was recently working with some college graduates when on a break in the training I overheard one of the graduates ramble off an old movie quote “Coffee is for Closers!” After a good laugh it struck me. This quote has never been more important than it is today. 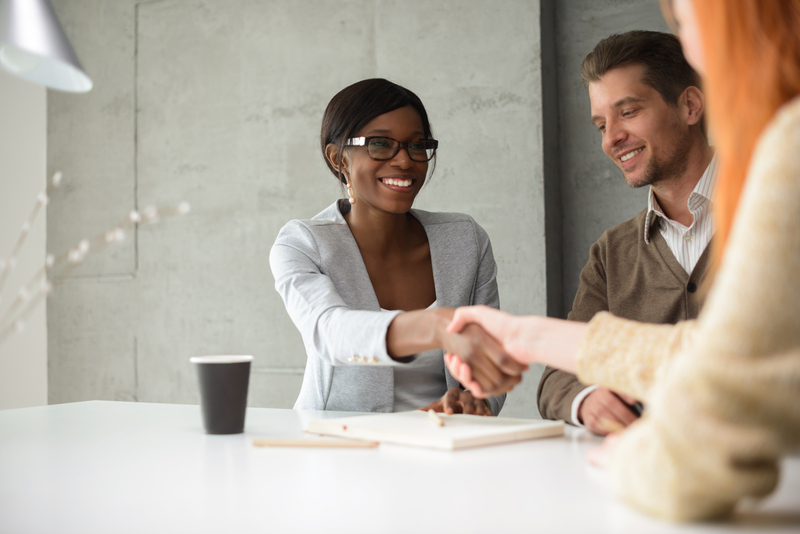 With a workforce that is inundated with college educated millennials ready to accept lower paying roles for a chance to climb the corporate ladder, the ability to close deals has never been more important. The reality is, closing the deal hinges on making a great sales pitch, and whether you think you are a presenter or not it is important that you be prepared when the opportunity comes to close the deal. The biggest mistake I see people make in their sales pitches are that they lead with numbers. They come out guns blazing with all the facts and figures as to why the customer should purchase their product. Before you know it, the client is bored and looking ahead to their next meeting. If you want to close the deal it starts by sharing great vision as to why your potential customer should buy into your product or company. Vision is exciting and allows you a chance to show your passion. A great way to bring your vision to life is through story. Whether it be a testimonial, case study, or personal experience stories will help you customer see your product in real life and begin to imagine themselves as a part of that reality. I know that I just told you that numbers don’t lead, but that does not negate the importance of knowing your numbers. By knowing your numbers, you not only sound like you are prepared and know what you are talking about, but you also leave yourself room to negotiate. There is nothing more unprofessional than someone who stumbles over their business numbers when asked a question. When it comes to knowing your numbers be sure to not just study the highlights. If you only know the numbers that paint your company in a good light you are leaving yourself open to be caught flat footed if your client asks about something you are unaware of. By knowing the not so favorable numbers you prepare yourself to paint those negatives in a positive light. I have spent some time learning from sales leaders at Quicken Loans. With thousands of sales men and women quicken loans trains each of their employees in the “Art of ARPing.” ARP stands for Acknowledge, Respond, Pivot. This simple three step process will revolutionize your next sales pitch when it comes to not taking no for an answer. When a potential customer utters those frustrating words, I’m not interested, your first step is to acknowledge their concern. Make them feel like they have been heard and show empathy for their reasons for saying no. Then comes the response, this is your chance to hone in on their concerns and address them. In this phase it is vital that you pin point their largest concern and really address that concern from every angle. The goal of your response is to ease their fears and draw them back into the sale. Then finally you pivot, during this phase you take a hard turn back to the vision that you started with leading them to the answer yes rather than no. With these three tips in hand you are equipped to not just close one sale but in the words of Alec Baldwin “Always Be Closing!” Sales are a tricky thing, they may not feel like a presentation, but that is exactly what they are. If you are interested in adding more tools to your sales presentation tool belt head check out our Presentation mentor online course today.